If you are thinking about a scenic drive down the Baja Peninsula, you’ve made a great choice. Whether you travel with friends to explore the many beautiful beaches or whether you go solo in order to have some alone time, you need to be certain that you have a Mexican auto insurance coverage for your trip. While most people find the drive relaxing, there are some tense areas that can be challenging. Mexican insurance for autos by Mexican Insurance Store is important in the event of an accident. However, it’s important to think about finding a Mexican auto insurance coverage policy that covers some important travel concerns besides accidents. Learn more about Mexico roadside assistance guarantees and explore the unique features of some quality Mexican auto insurance coverage products. 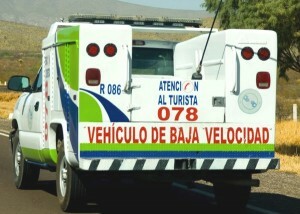 One of the most important add-ons to a Mexican insurance for autos policy is roadside assistance. Nobody plans to break down. Nevertheless, this can happen. At the wrong time, it could cause you to be vulnerable to additional unpleasant situations. Having the ability to get Mexico roadside assistance GUARANTEES included within your Mexican insurance for autos policy in order to get your car towed and fixed is worth the investment. If you experience medical difficulties during your trip, getting home could be challenging. One of the main issues that can affect travelers in Mexico is sensitivity to foods. It’s important to be aware of the conditions as you purchase prepared food. If a torta shack looks a bit dirty and doesn’t seem to have good refrigeration, you might want to skip it in lieu of a cleaner stand. If the horchata appears to lack ice, you might want to choose a soda instead. If you do experience issues because of tainted food, you may have a hard time traveling further. Some unfortunate tourists have ended up dealing with cases of more severe stomach and intestinal ailments. While this may seem unrelated to your Mexican auto insurance coverage, the fact is that some online sellers of Mexican insurance for autos also provide options for medical evacuation. If your trip is far down the peninsula, this can be especially helpful if you have medical problems. What if You Do Wreck in Mexico? Whether you are involved in a collision or have an auto problem that causes you to roll, you can be faced with legal and medical issues. Look for Mexican insurance for autos that will provide you with legal assistance, vehicle repair options, and a means of getting home if your car is totaled. The right Mexican auto insurance coverage can make these issues a little less dramatic and easier to resolve. Did you know that MexicanInsuranceStore.com offers the ONLY Mexican Auto Insurance Coverage Roadside Assistance Guarantee in the industry? Baja Peninsula has breathtaking scenery. However, there are also many sharp bends and meanders occasioned by this scenic beauty comprising of steep hills and valleys. This may be challenging to a new visitor. The best way to ensure that you are safe all along as you drive at times through rugged terrain is to have Roadside Assistance as part of your Mexican insurance.